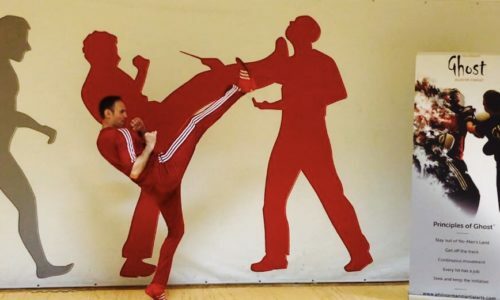 Phil Norman initially began training at the age of 17 in traditional Kung Fu and at 18, attended a 4-day training seminar led by Guru Dan Inosanto in London at Nino Bernardo’s Basement Gym. It was a ‘life changing‘ experience for him. In 1989 Phil became the first UK based student to pass Ajarn Surachai Sirisute’s Thai test and he also received his Initiateur (Instructor) in Boxe Français Savate under Professeur Salem Assli. In 1991 Phil became an apprentice instructor under Guru Dan Inosanto in the Filipino Martial Arts Kali/Silat and in Jun Fan Martial Arts/Jeet Kune Do. Phil was invited to join the team for a training weekend and subsequently asked to represent Great Britain in World Championships. In 1998, 2 years after winning by KO and becoming the British Champion. At the age of 40 Phil fought one last time in MMA, breaking his hand and foot, securing a points win regardless, after which he decided his body had enough abuse and retiring from competition. This led to a time of reflection and the ‘bringing together‘ of the elusive fighting system he has named Ghost TM elusive combat. 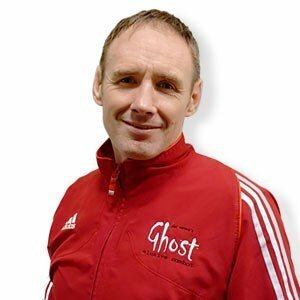 Phil is doing a Ghost Instructor Course next year for the KRAVolution Team of Germany and we are very proud to work with him.